What's up everyone, thanks for wanting to get in touch. Here are the best ways to reach me. Want to Say What's up? Or ask a question? 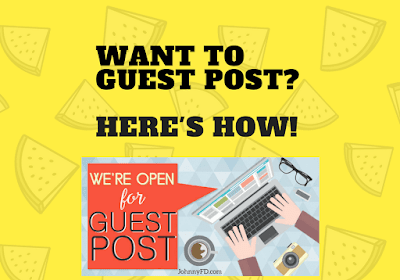 Read this guest posting submissions faq. I'm happy to come on podcasts or do live talks. Sign up for Phone Coaching. Or sign up for my mailing list and simply reply to any of those emails! Johnny, have you considered Taipei as a work/live location? I know your family is from there, and it seems like it has a lot going for it. I'm personally considering it, along with the standard options, so would be interested in your input. Thanks! Taipei is an awesome place, nice people, good transport, great city, awesome night markets, good food, etc, the only reason I don't live there is because I've already been there so many times as a kid it's nothing new and exciting for me. If you've never grown up around the Taiwanese culture, you'll love it. But for me I'd rather explore new lands, that's the whole reason why I signed up to become an entrepreneur in the first place. Johnny, read your book, 12 Weeks in Thailand and really enjoyed it. I had it on my e-reader, which unfortunately fried while in Thailand. I remember you mentioning a masseuse in the book who had worked wonders on your ex-girlfriend's father's hand (hope I got the specifics right). I don't remember what city this was, but I am in Chiang Mai now and will be in Thailand for another couple months. Any chance you could provide his name and address? I have a hand issue myself I would like to get cleared up while over here. The masseuse i mentioned "Dr. Pain" is unfortunately no where to be found. I was back in Koh Lanta a few months ago and drove up and down the island looking for him. Last I heard he sold his business. I would look into Acupressure and A.R.T. massage when you are back home and hopefully you can find someone who can do something similar. Hey Marcus, hope you have a great time in Chiang Mai. I'm in Taiwan until April 17th! Sorry we won't meet up. I feel like I know ya from listening to your podcast. Curious if you can put me in touch with any CM entrepreneurs who have kids. We are travelling with our 11 month old son. Would love to have a meet up with some parents here to better understand the lifestyle here with kids. Hope to meet up with you sometime, somewhere. You are the man. Hey Marcus I know James from Tokyo Wheels has two young boys he's traveling with, and there are plenty of expats in Chiang Mai with young kids as well. Bring a Kangaroo type carrier for the kid, hope to meet sometime! Can you share your iPhone homescreen? Thanks! Hi, hope you are fine! Quick question: Is your "Earnest Affiliate" updated and good to go? Or would you recommend another one? Thank you!! What wallpaper is on your iPhone? Is it the default wallpaper? It's the white background with green leaf. Why do you ask? Johnny - where did you go to college? I went to UC Irvine, but don't use my degree for anything. hey johnny. can you tell me more about the anton method? im interested in purchasing this course. but the course is 1,000$ so i'll prolly wait a bit until i make more money from kindle publishing business before purchasing the course. does it really work? im really skeptical about the course but i see you making good money from dropshipping. i have no idea how this dropshipping works but i have done ebay dropshipping and that doesn't really work. the course is a clickbank product so i can get a refund if i dont like it. Not everyone has courage to make such a decision to quit a job and start own business. I really admire it. I have one question: Is it the mind set or is it about the skills to start own business? Hey Zee, I'd say it's 90% mindset and 10% actual skills...as those you can learn. As for mindset, read 12 Weeks in Thailand (www.12WeeksinThailand.com) for the courage to go against the norm, then Life Changes Quick (www.LifeChangesQuick.com) for the mindset to start your own business. I am thinking of moving to CM for a month or two to work. Do you know of any good apartments that also have a gym? Or is it best to rent an apartment that is close to a gym? Finally, any good sites where I can browse apartment options? Hey Joe, glad you like the blog. I am a college student I believe that I can do anything and everything. I recently heard about dropshipping and how it works. Do you believe it is possible for a college student to start dropshipping and become successful with it? I am 22 and I am looking at being able to pay for some or all of graduate school in 2 years. I have been trying to find something to invest in since I graduated high school that includes stock, buying houses and renting them out to college students, even opening up a franchise. My majors are not business related I am going to school for Physical therapy and sports psychology, but a lot of people I talk to believe I have a business mindset. I sell my old college books on Amazon but there is always room for growth. Do you believe it is possible to do? Hi Whitney, it is 100% possible for someone in college to get into dropshipping. It makes it easier if you have a credit card (or can use someone's credit card) to fulfill orders, and it's easier to do it western countries as it's more established, but other than that yes, 100% you can do it. My advice is whatever you get into, try to do the MVP (Minimal Viable Product) and not invest more than $3,000 to start. So instead of buying houses and renting them, rent an apt and AirBnB it out, etc or follow Anton's course and dropship (www.AntonMethod.com) as you don't' need to buy any inventory up front. Hey Patrick, there are a few people in the course who build multiple stores and make the type of income you're aiming for, but for me personally, it treat it as a lifestyle business where it can still be semi-passive and I can travel. If you were open 5 or 10 stores, you'll need to hire a team and treat it as a big business, not just something you do on the side while traveling. Johnny just ordered Antons courses through your link and am building my first store have finished niche research and found about 10 suppliers. I would like to know if I can still get the 20% off shopify I tried sharing the link but did not get the order code. Hey awesome! Welcome to the course. Here's a link to the shopify coupon. You just need to either clear your cookies (10days) or use incognito for it it work. Choose the $29 a month plan. You'll be billed only $22 which is 20% off, and it's good for life. I would be also in need of your coaching. I see many people who you have close contact with like your GF and you other friend you helped build their stores and make them successful . I will need your help in niche research. I am having a real hard time. I have not bought many products online in the past and would like your help with this process. Patrick do you have an email to contact you with? Hey Patrick, I'm happy to help coach you, but just remember there are plenty of people who have been successful with their own stores without ever meeting me or speaking with me in person. There are literally hundreds of people inside Anton's course who have done it so if you are a member of www.AntonMethod.com just follow the videos there, and ask for help in the forums. I am in CM at the moment and was wondering if you are doing any workshops here? Enjoying reading 12 Weeks In Thailand! Thank you so much Johnny! Unfortunately saw your reply to late :( but will join the group and keep an eye for upcoming meetups! 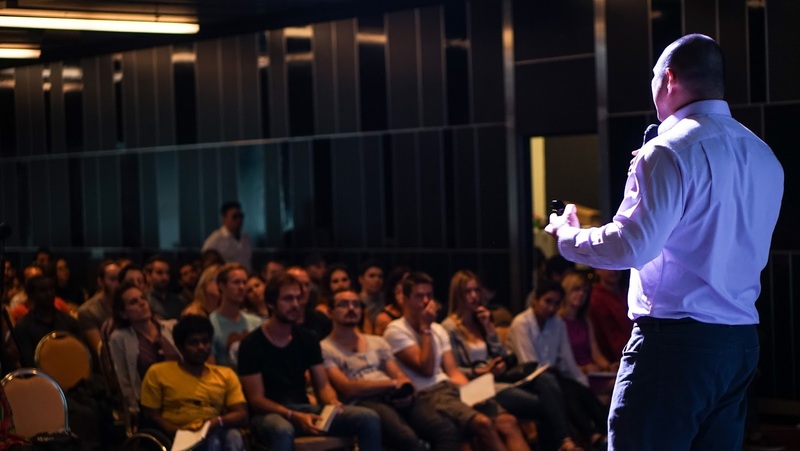 Looking forward to connecting with other online entrepreneurs here so meetups like this is exactly what I was looking for. I would like to start right away but cannot wait for Anton's 4.0 course to be ready to see if it's right for me. I can figure out shopify.com on my own but finding the right supplier is a different story. Have you used sites like WorldwideBrands or Salehoo to find your suppliers? Are they worth it? And what are you opinions on them? Noooooooooo. Definitely don't use Worldwide Brands or Salehoo. It's a terrible idea to sell through a middleman as your margins will be horrible and you'll be selling the same products as everyone else. Does dropshipping model work in Thailand? Seems like it's all in the states. Personally, I wouldn't want to be the one to start in Thailand as it's like starting ecommerce in the U.S. 20 years ago and there will be a ton of obstacles and a huge learning curve. However that being said, higher risk/higher reward. 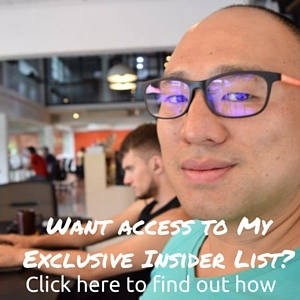 The easy to do, proven model that Anton teaches in his course isn't designed for Asia but if you used the concepts in it and dropshipped on places like Lazada.com you can be one of the first and have a headstart. But it's easier to start in places like the U.S., Canada, Australia, or Western Europe. It appears that Antons course beyond his 5-day course is closed. Can you help me beyond what he gives? Hey you're going to have to wait until the course reopens in a few months. Enjoy your holiday! How do most people consider the safety in CM? Do people worry about getting robbed or approached in a bad way on the streets? Have to worry about carrying your computer or phone? Your property okay in your apartment is safety a concern in CM as it can be in other places? Chiang Mai is a medium sized city so there is a bit of crime. However, that being said, it is far safer than any other city I've ever lived in including San Francisco, Los Angeles, etc. From 6am-11pm you pretty much have a 0.0001% of getting robbed or your phone or computer stolen, compared to places like Saigon/Vietnam where it feels like more a 33% chance daily. Most crimes I hear about happen when people are drunk at 2am. Apt safety is extremely safe compared to the U.S., i've never had a problem. But i"ve heard of people living in cheap places without proper locking windows or doors having things stolen. I would say Chiang Mai feels extremely safe. Thanks Johnny! I read your book on Thailand and planning to go there for an extended visit - it sounds like a great place to stay for internet entrepreneurs based on what you say as well as the people you interview on your podcast. I'd like to find an area where I could walk to wherever I want to go - not interested in the motorbike thing - and like to have a nice safe area near coffee shops, food, nice co-working space and see how the vibe is there as far as the energy of all of the expat entrepreneurs - sounds like it can be very motivating and fit into my type of lifestyle. Sounds like it would be nice to be surrounded by other motivated and success-minded people. Stay in the Nimmanhaemin area near PunSpace Nimman and you can walk everywhere. It sounds like exactly what you're looking for. Thank You Johnny - You Rock! want to say I absolutely loved your book 12 Weeks in Thailand. The reason I bought it is because I am thinking about moving to Thailand because its alot cheaper to live there and hopefully I can live of my dropshipping income. I have only experienced Bangkok but I feel like I have missed so much after reading your book! But my issue us, I am living in Korea right now (American expat) and to get serious about dropshipping it seems like I need to get a business bank account from a US Bank. How did you get around that? or did you fly to the states and apply for a business bank account after you got your LLC? 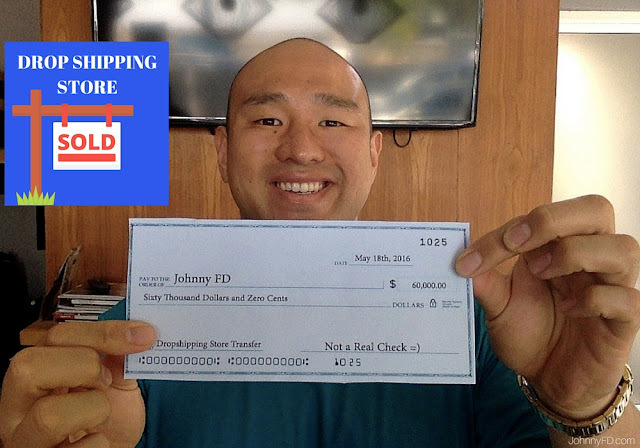 Hope to see you inside the dropshipping course (www.AntonMethod.com) and best of luck with your success! Can you give me information on how taxes will work being a digital nomad. I am considering working remotely from Chiang Mai for a US company. I am not a US citizen. I want to ensure i follow immigration and tax rules in thailand correctly. Hey you have to check with your own country's tax rules but in general if you're not working in Thailand or doing actual Thai related business you are only responsible for paying taxes in your home country. However if you employ Thai citizens, or import/export from Thailand then you are doing business locally and need to pay tax and register a company. By owning a digital business or a "home country" based business and not employing or selling to Thai nationals, it's a grey zone, but in general you are just a tourist here. Hey DKP, thanks for reaching out. You can get the book at www.LifeChangesQuick.com and either get the Kindle of the PDF version. Love diving still, especially as a guest! Bali and the Gili islands is great for it! I am from India. I was doing my 9-5 job during 2008-2010 , then I left my job and started my business( as a stock broker, and later as a telecom service provider). Currently I am doing the business but finding it difficult to survive as I have a wife and 2 kids to look after, so I am planning to go back to 9-5 job. Can you please help me on how can I do some successful online business. My area of expertise so far is in telecom business and Financial analyst( Stock broker)Thanks. Hi Johnny, I have been on your site and Anton's site all day. 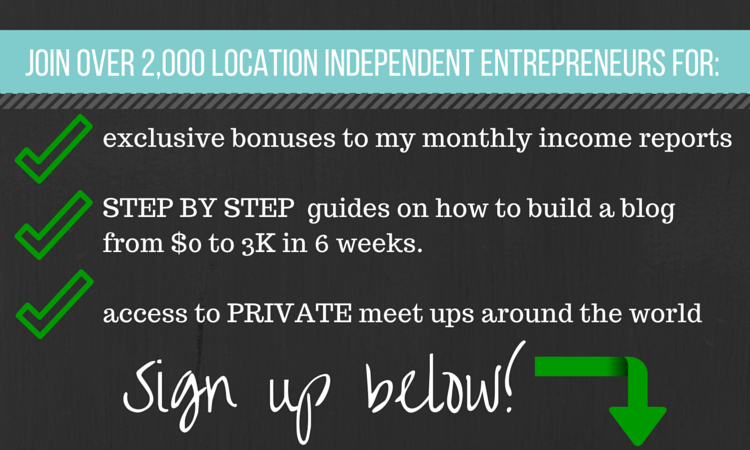 lol Quick question, I have already started many businesses and still run them (but want more "passive" income. I live in Canada. I get the whole entrepreneur thing. I am a web designer for over a decade and I know ecommerce and technical and all that stuff very well, domain names, hosting etc, just not so well versed in affiliate marketing, drop shipping relationships and ad words etc. Will these courses still benefit? 100% if anything, you should be able to go from starting to having income a bit quicker than someone with zero experience. However make sure you don't skip steps thinking you already know it. The biggest help with the courses are going to be a step by step guide on what to actually do. Example: if Anton recommends in his course to use Shopify, don't go spend 2 weeks building a Wordpress site just because you can, just follow his steps. What website do you use to hire people to do your logo and all the other graphic related stuff? Hi Johnny, fell over your site and your story recently, awesome content and inspiration, so thank you very much for that. Actually I am going to Bangkok early April to explore the city and put also get a feel of whether I could move there and create a business. I read you mentioned you found a underground community of Digital Nomads in Chiang Mai, do you have a feel about the situation in Bangkok? Would the community be similar you think, and how would you recommend if possible one best approach such a community? Can't wait to digg more into your content. 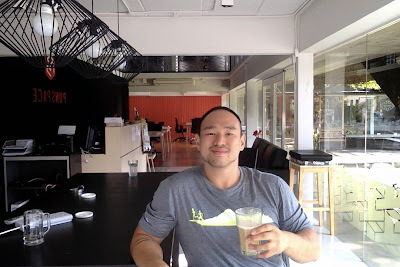 Thanks Johnny, really appreciate your feed back, interesting that the community is so much bigger in Chiang Mai, I wouldn't have thought. I'm curious how you work abroad but your drop-shipping business is in the US. What address do you use on your website so the consumer or customer know you're legit? Do you buy a PO BOX or does it have to be a physical address? I have a mail forwarding / scanning address in Texas. If you subscribe to my email list the address is listed at the bottom of each email I send, and if you send me a postcard or something, it gets scanned and emailed to me. Hey Johnny! Would you be interested in doing a podcast with me? I started a plant based channel and generated over $3500 this weekend with ebook launch. I chat with Sean Lee on occasion. It's the Potato Strong channel, now I have share Your Passion Online channel with income reports. Hey Will, congrats with your ebook launch. Let me know if we're ever in the same city as I try to do all of my podcasts with people I know in person. Ok that's too bad. We could've done a Skype call so I can help your listeners. Love your podcast. Hey Anton teaches all of that inside the course, so just follow the steps. But to answer your question, you would start as a sole proprietorship in whatever state you get your mail. Some I see you in Tailandia !! Hey Johnny. I was wanting to reach out to you. My wife, @kendallksimmons, has been speaking with you on Instagram about your recent post in Chiang Mai. Im speaking about the post where you are in the area with food vendors surrounding you and live music. We were just there a month ago. We would get red bulls and Sang Sahms while we listened to the music before we went to some Thai boxing matches. It truly was a great vibe. We are based out of Nashville, TN at the moment. Kendall is a huge advocate of reading and read the four hour work week when it first came out. Since then she has listened and read about Anton and then in the past year or so has really started following you. We enjoy listening to your podcasts and reading your blog. We have been inspired to live the life we want and we see ourselves doing that in Chiang Mai. Since we got back from the trip I have joined the DSL team, obviously, and are in the process of selecting a domain name for my niche. We are truly excited to get started with this new chapter in our lives. I looking forward to our future correspondance and maybe meet up when we finally make it to Chiang Mai full time. p.s. We were exploring the old city and got to talk with the owner of Makerspace and didn't realize until we got back that we were right next to Punspace. Small world. I guess the DSL lifestyle was meant to be. Hey Kane really great to hear from you and your wife! Glad you joined the course! Feel free to ask me anything in my progress thread in the member forums if you ever get stuck. See you back out in Chiang Mai hopefully! I sign up for you optimize like a boss course two days ago, and have emailed tech support twice. But I still haven't gotten access to the course yet. Thanks for the heads up. I'll let Anton and Laura know. And get it fixed for you within a 1-2 days hopefully! I've been researching this drop business for about a week now. The concept you and Anton describe seem to be the most solid. I have a full time job with my family business and I don't ever expect to leave. But with two sons now in college, I wouldn't mind having some extra (passive) income. My goal would be a profit of $1,000 per month. How realistic would it be to achieve that if only putting 2-4 hours per week into it? Or course, that is assuming I use Anton's course. Hey Paul. If you're American, Australian or in Western Europe your chances are really good as those are proven markets and enough people have been successful before you it's pretty easy to follow suit. At 2-4 hours per week you can realistically maintain a store making $1,000 profit a month but it'll take you forever to actually build one as most people take 2 months working 4 hours a day to launch it. Hey Johnny! I paid for Anton's course and haven't gotten into yet but was wondering if I have enough to move forward at the moment. How much would you think is enough to get a drop shipping store off the ground? Thanks for sharing your journey as it is inspirational to say the least. Thank you for your time. Thanks for getting back to me so fast. Have a great weekend. I visited your site and found it very helpful. Thanks. The main thing that bothers me about opening an online store is that I live in Israel and wanted to know if it's possible to build and run a profitable and efficient business at this location? Do you work only with local suppliers from the United States? Just finished looking through some of your old Affiliate Income Reports! It's great when people put hard stats into their posts . . . it helps and I appreciate it! I do have one quick question. Do you have a quantitative estimate of how much of your affiliate revenue comes from customers that buy completely different products during the lifespan of your cookie than those explicitly linked to? Thinking of building an affiliate site that revolves around low-income easy-to-rank-for keywords that would rely on peoples' general spending in the 24 hours following the link click. Hey Wesley, glad you enjoy the income reports. I'm glad it helps! I don't have any hard stats on that, but I'd say that 80% of the products I've gotten credit for on as an Amazon affiliate wasn't something I linked to directly. So I think you're onto something. Great, thank you for the quick response! I have one more question, if you don't mind! Many affiliates claim that their conversion rate off of the clicks to Amazon is anywhere from 2%-15%. When they speak of these “conversions” do you know if they mean a direct sale of the advertised affiliate product, or just a sale within 24 hours of any kind? Trying to decide if creating a niche site centered around “easy-to-rank” and “cheap” keywords that aims to make money off of the misc. sales in the 24 hour window is a good idea. Thank you! I just signed up for your newsletter and listened to your niche podcast and I noticed that you gave us a nice nugget. You said that you had to apply to distribute products, and that's not typical with aliexpress. Is this for USA based drop shipping? Hi Johnny, I was wondering how you were able to get a visa to move to Thailand? I was recently only able to get 6 months on a multi-tourist visa. Could I somehow get a visa by showing financial statements (I work remotely) and then paying Thai taxes?